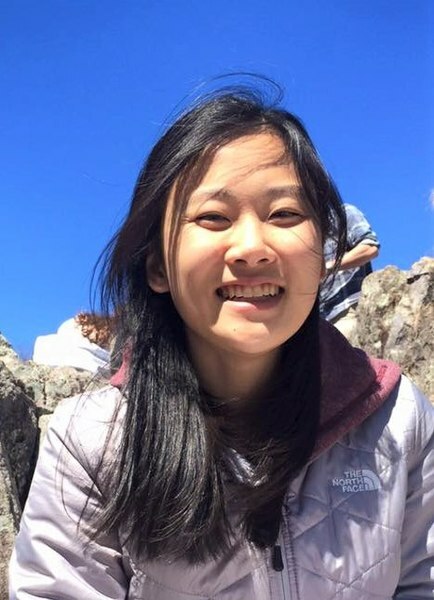 Jane Lee, a student at Washington University in St. Louis. Jane Lee, a student in Dr. Joan Strassmann’s Behavioral Ecology course at Washington University in St. Louis, vastly improved a Wikipedia article about the Small heath butterfly species last fall. She added 4,723 words and went into depth about the butterfly’s taxonomy, life cycle, habitat, and behavior. And her work has been viewed more than 1,000 times by curious Wikipedia readers since then. If one were to look at the article’s edit history, they’d see that Jane came back to edit in February, well after her course had ended. That’s because the article had been nominated for Wikipedia’s Good Article status and required her participation in a rigorous review process. “After the initial Good Article nomination, I frequently checked back to see if a member of the Wikipedia community began to review the article,” Jane told Wiki Education in an interview. So what was this assignment that compelled Jane to re-engage with her work months after it was due? Dr. Strassmann guided her students in learning how to edit Wikipedia using Wiki Education’s online tools, print resources, and staff support. (She walks us through the positive experience here). Her students consistently produce admirable work that is so recognized by the Wikipedia community. This Fall 2017 term’s class alone received seven more Good Article designations, in addition to the Small heath article. Thanks to these biology students, Wikipedia articles about the Codling moth, Gynaephora groenlandica, Parnassius smintheus, Polygonia c-album, Choristoneura fumiferana, Cabbage looper, and Eldana are all deemed Good Article quality. Jane says that writing about the small heath was no simple task. The topic required some real digging and perseverance. Learning to apply course concepts in a public arena like Wikipedia takes a different set of skills than a traditional term paper assignment. Students develop confidence to speak authoritatively about a topic they’re learning about. And they often feel a deeper sense of motivation in their work and a sense of pride that it can be accessed by millions. A Wikipedia assignment offers an opportunity for students to learn the ins and outs of a resource they use all the time. They gain valuable media literacy skills to take with them in academia and beyond. This peer review process is an essential aspect of Wikipedia’s crowd-sourced model. The collaboration creates a sense of responsibility and accountability for students, motivating them to produce quality work and respond to feedback. To learn more about Wiki Education’s free resources and support for this assignment, visit teach.wikiedu.org or reach out to contact@wikiedu.org. Also check out Dr. Strassmann reflections on the success of this Fall 2017 course here. Image: File:Small heath (Coenonympha pamphilus) P.jpg, Charlesjsharp, CC BY-SA 4.0, via Wikimedia Commons.